When nature collides with science, potent powers are ignited. Such is the thinking behind one of the UK’s principal AI insight developers. As a leading-researcher in Artificial Intelligence, they privilege technology as a route for resolving the complex mysteries of the universe. Wanting to celebrate the company’s collective thinking, they hosted a one-day event and outdoor party for delegates and their families. With our background in imaginative tech-production and set designs, the agency asked us to bring their vision alive. Located in Chiswick House and Gardens, we provided an audio-visual system channeling the innovative ingenuity of the agency’s tech developments. To cover the large-scale space, we installed a far-reaching PA System and lights, in keeping with the festival-themed brief. 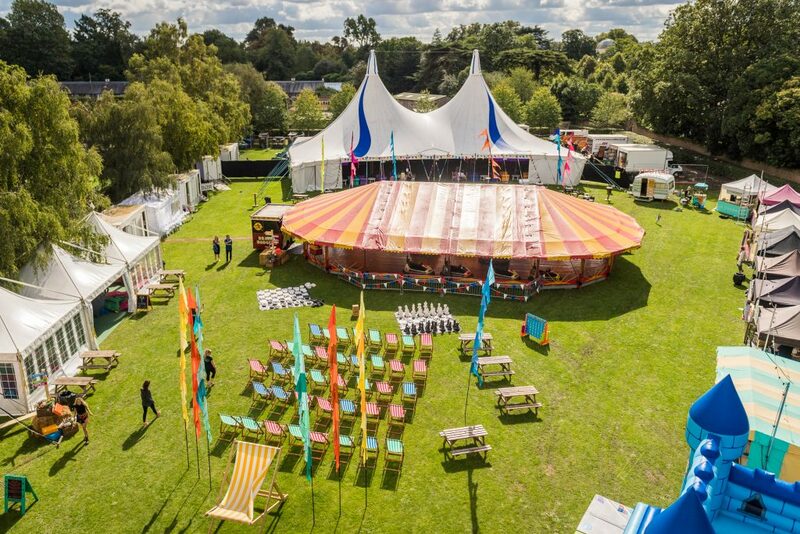 Expressing the feel of Big-Tent entertainment, we designed an aesthetic as bold as our performers. Vibrant garlands and floral festoons aided the celebratory tone. 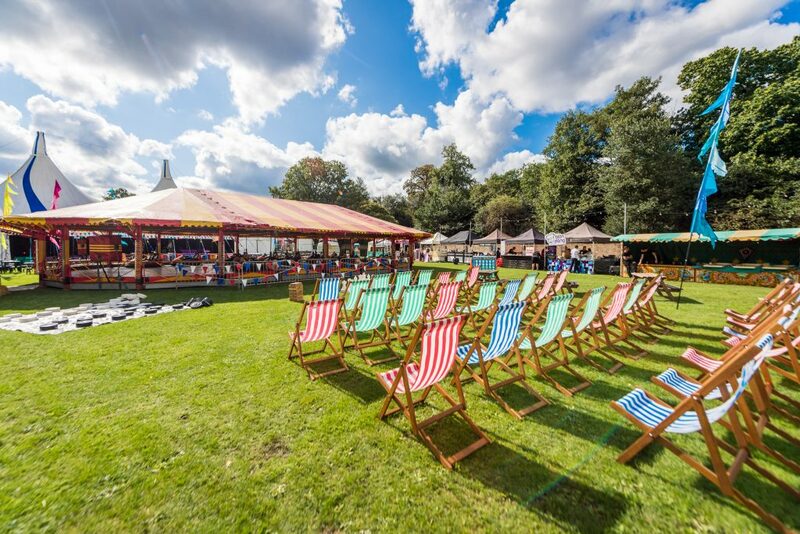 Bespoke painted signs, decorative outdoor-friendly furniture and a gypsy-caravan photo-booth exhibited a boho-chic vibe for family-friendly festival-fun. Further entertainment was curated by our specialist team. 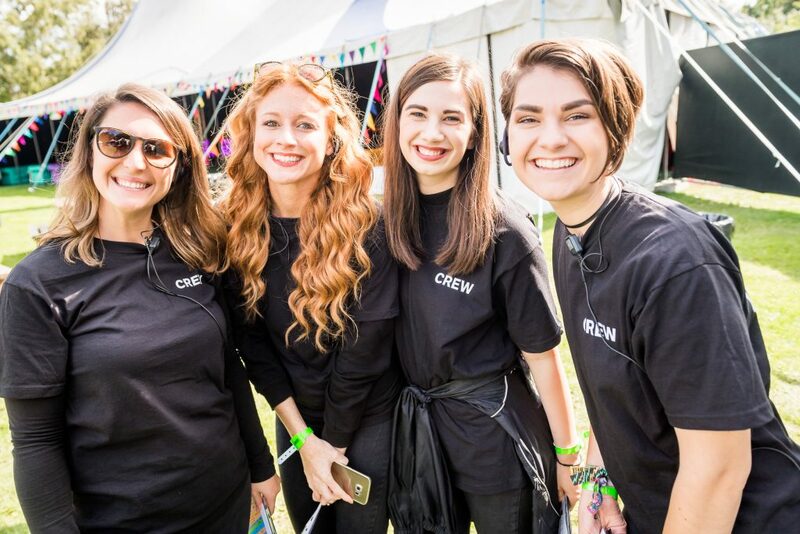 Face painters, balloon modelers, soft-play attractions, roaming bands and storytellers set the scene in motion for the little-ones. Carrying the party on into the night, a DJ played chilled-out beats, Henna artists were on-hand to embellish attendees and a fairground including traditional rides and stalls set a new-standard in outdoor-events, with the night culminating in a high energy performance from Hackney Colliery Band. This large scale event required a week-long build involving all of our departments from production to entertainment to set and furniture styling. The result? An impactive day that like the agency, brought a vision of the outstanding possibilities when tech meets nature.